Our GRP (Glass Fibre Reinforced Plastics) Tank systems offer our customers greater flexibility with temperature ranges and chemical barriers. The tanks are manufactured using a range of isophthalic and vinylester resin. 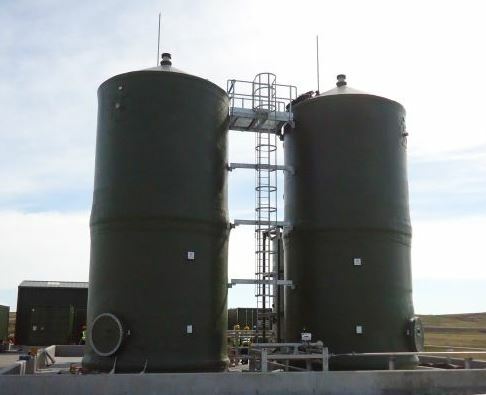 We offer a standard range of systems up to 200,000 litres and up to 4.5m diameter. Available for vertical or horizontal installation.